CSG Imagesoft was founded in 1989 and based in Los Angeles. 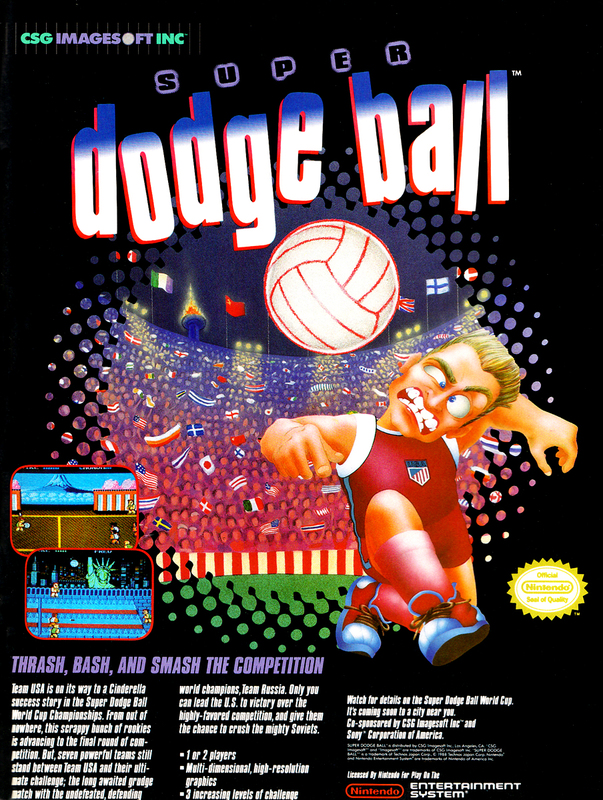 The publisher was only in business for two years under that name and might at first appear to be insignificant as it only published Super Dodge Ball, Solstice, and a port of Dragon's Lair. However, once you realize CSG is short for CBS/Sony Group, the Japanese company CSG was a subsidiary of, it suddenly becomes a bit more important as it marks Sony's entry into home video games. CBS/Sony Group started as a collaboration for music publishing and that company would eventually become Sony Music Entertainment. In 1991 Sony founded Sony Electronic Entertainment (SEE) and since CSG Imagesoft would now operate under SEE it was renamed to Sony Imagesoft. Once the PlayStation was a reality Sony would focus on publishing games for its own platform and Sony Imagesoft merged with Sony Computer Entertainment America (SCEA), and parts of both companies became Sony Interactive Studios America. I wasn't sure if I should group CSG Imagesoft with Sony Imagesoft but it was technically different as it operated under another parent company. Atari gave me pause as well and I think I will pull the Atari-branded Hasbro Interactive ads out of that album when I get to Hasbro. I really have to go on a case-by-case basis when determining the best way to group ads for companies that underwent acquisitions and name changes. When I get to Sony there will be at least two separate albums, one for Sony Imagesoft and another for the rest of Sony. Whether there is more than that I don't know yet; I'm still trying to figure out how to organize Sony. I currently have a single ad for Sony Interactive Studios America which went out of business in 1998. Sony also had 989 Studios and 989 Sports, and 989 Studios is considered a relaunch of Sony Interactive Studios America. In fact, the former team that was at Sony Interactive Studios America founded Red Zone Interactive that would later be acquired by Sony and be renamed 989 Sports. To broadly summarize: CSG Imagesoft -> Sony Imagesoft -> Sony Interactive Studios America -> 989 Studios (and sort of 989 Sports). Although CSG Imagesoft only published three games, one of the ads I've got is for a fourth game titled Soccer Mania. The ad remains here because it is a CSG ad but the company became Sony Imagesoft before the game released and it was Sony Imagesoft that ultimately published Soccer Mania. 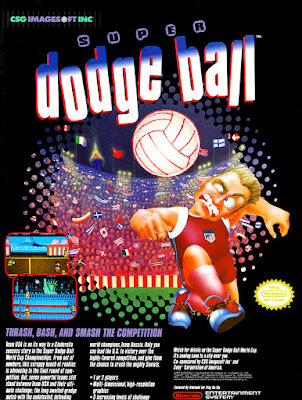 One of the Super Dodge Ball ads also makes mention of a game called Super Sushi Pinball that was never released.